The 2018 Corvette ZR1 Has Already Attempted A New Nurburgring Record? 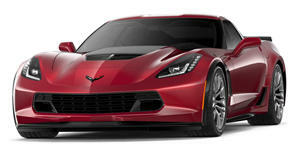 The upcoming Chevrolet Corvette ZR1 will serve as the proper sendoff for the C7 program and, subsequently, front-engined Corvettes, if those C8 rumors are true. Due to debut in 2018, the ZR1 will attempt a new Nurburgring lap record. In fact, according to this latest footage from Automotive Mike, it already has made that attempt. The 700 hp+ ZR1 prototype you see here did multiple laps throughout the day. Before the track closed for the evening, however, a marshal drove in front of the ZR1 in order to clear everyone out. A lap record can’t be attempted with others in the way. In any case, the current production car lap record holder is the Lamborghini Huracan Performante (6:52.01), followed by the Porsche 918 Spyder (6:57.00), the Lamborghini Aventador LP 750-4 SV (6:59.73), and the Nissan GT-R NISMO (7:08.68). No word yet whether the Corvette ZR1 will match or beat any of those times, but it does look like there were ideal track conditions that day. One last note: the reason why this ZR1 tester has those additional rear exhaust pipes is because of sound; there was simply too much of it before. The last time Chevy ran a ZR1 at the Ring it exceeded the 100 decibel sound limit and track officials weren’t happy. To give you an idea just how loud that was, 100 decibels is nearly as much as a jet flyover at 1,000 feet. We’ll keep everyone posted the moment we find out more.